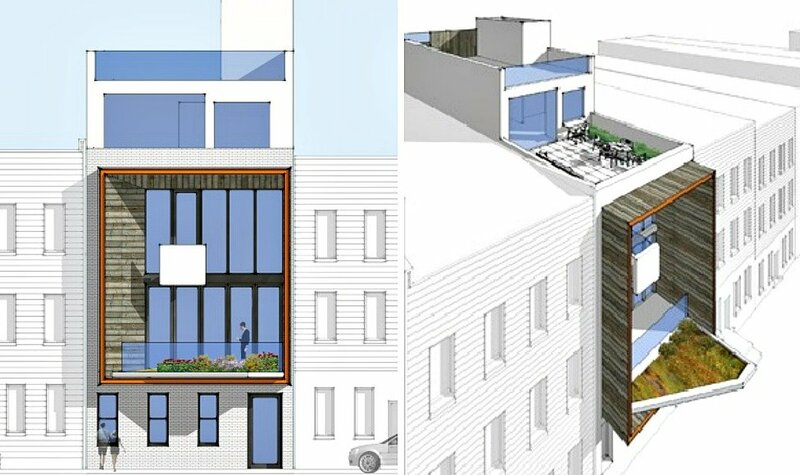 A new residential building is going up on an East Williamsburg street that’s already an eclectic mix of modern buildings, single-family homes with vinyl siding, and classic tenement apartment buildings. 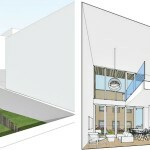 Designed by James Cleary Architecture, 237 Devoe Street will add some creative environmental design to the mix, thanks to its signature element–a double-height solar shade, clad with reclaimed barn wood, that opens onto the street. 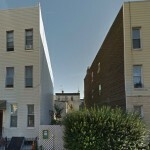 237 Devoe Street is a new ground-up building. 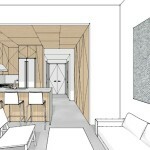 It will feature six thoughtfully laid out condo units. 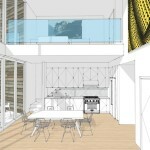 The solar shade frames the glass walls of the double-height living space of a three-bedroom duplex unit, as well as a large enclosed second-floor terrace and garden. 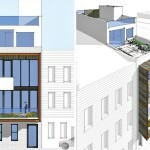 The duplex will also feature a second-floor mezzanine with a glass barrier. 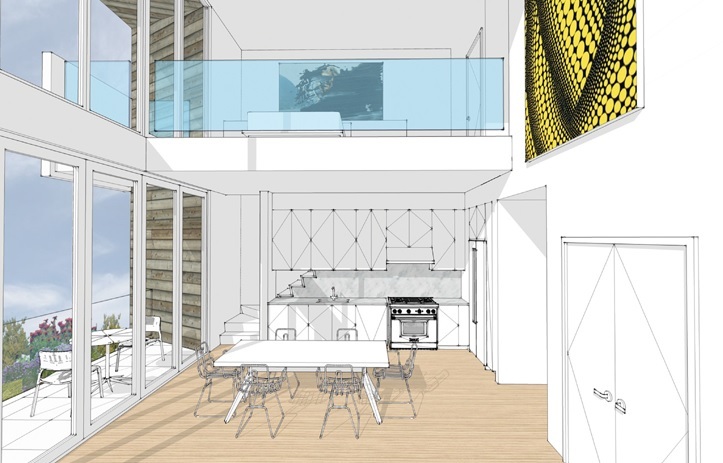 Floor-to-ceiling windows grace the rear of the building, which also boasts two large back yards separated by a wood fence, and the top two floors will have rear balconies. 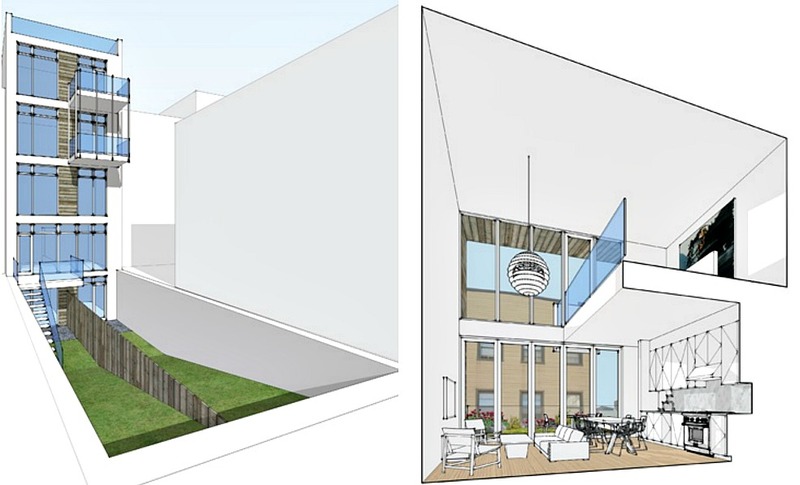 Construction on 237 Devoe Street is expected to begin this spring; you can follow the progress here. 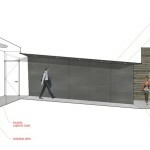 And see more work from James Cleary Architecture here. 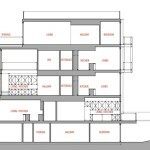 James had better look up the definition of balcony- that wall encloses the balcony and makes it floor area. When something is new, it is not because the Architect is particularly smart, but rather because he did not read his definitions. (That said, I remember some nice work from Mr. Cleary). FYI- glass houses in tough nabes = frequent reglazing and robbery.